I am pleased to provide you with the below paper drafted by faculty Mrs Gelina Harlaftis, this paper provides a very good and accurate description of Ari's business structure, the issues he encountered from time to time and how he tackled those issues. I couldn't have wrote this better so i prefer to provide you with her good work, thanks Gelina!!! During the 1940s and 1950s a large number of Greek shipowners previously based in London had transferred their base to New York, at the time which was increasingly becoming a world maritime centre. In the post-WWII the United States, at the time the world‟s leading power was not a maritime nation and shipping under the American flag cost quite highly. In this way, it did not fill the oceans with American flag ships but promoted the adoption of flags of convenience from main traditional European shipowners from maritime countries. The flags of convenience, then the PanHoLib fleet -of Panama, Honduras and Liberia-, were cheap flags that provided cheap sea transport.3 In the 1940s and 1950s it was the Greeks that exploited such an opportunity and became the main transporters of the US under flags of convenience. Established in New York a large shipowning Greek community was soon flourishing. By mid 1950s Onassis had more than 60 vessels registered under various flags including Honduras, Costa Rica, Liberia and Panama, and a large whaling fleet. He had residences in New York, Paris, Nice, Monte Carlo, Montevideo, Uruguay, and offices in major ports. He controlled over 30 corporations throughout the world. He held a major business that included the gambling casino at Monte Carlo, which gave him a great deal of influence in the political setup of Monaco. This paper has three parts. In the first part I give a brief analysis of the development and structure of Onassis‟s businesses from 1920s to early-1950s, before the "game" with the U.S. government started . In the second part I analyze how I use game theory to examine the U.S. government vs Onassis case in the 1950s. In the final part I examine the various stages of the "game" as they unfolded. 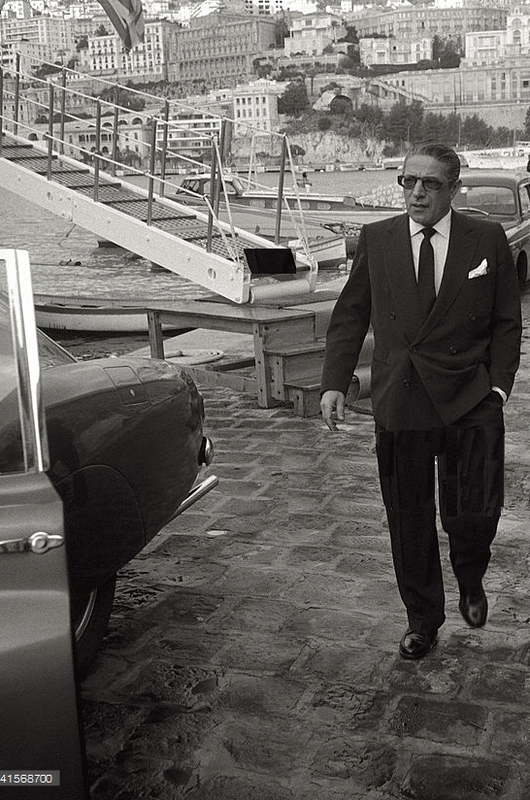 Writing about Onassis has proved both fascinating and frustrating. As he attracted world‟s attention and he was on the headlines of newspapers and magazines, all over the world for years, there are references about him everywhere. There are thousands of articles (the New York Times alone has more than 2,500 columns on Onassis) that are still getting produced more than thirty years after his death. Reporters, journalists, gossip columnists, novelists, story-tellers, popular writers, movie makers, opera composers, photographers, previous lovers, previous housekeepers, previous business partners, have all produced columns, books, movies and music compositions about Onassis.4 What is remarkable is that none of the books on Onassis have any references; usually at the end or the beginning of the book some general and vague references are made. As a result a mythology has been built and reproduced over the years. There are extremely few scholarly accounts of Onassis business and these are also mostly based on secondary evidence.5 It is rather extraordinary that this is probably the first paper on Onassis based on archival evidence directly referred to. I will base the analysis on Onassis business and his confrontation with the American government mainly on FBI archives; these will combined with previous archival research on his shipping fleet I have carried out based for example on International Shipping Registers like Lloyd’s Register of Shipping, on the only long article he wrote himself and selectively from reports from the Press. Yes, the real story is similar but also quite different. 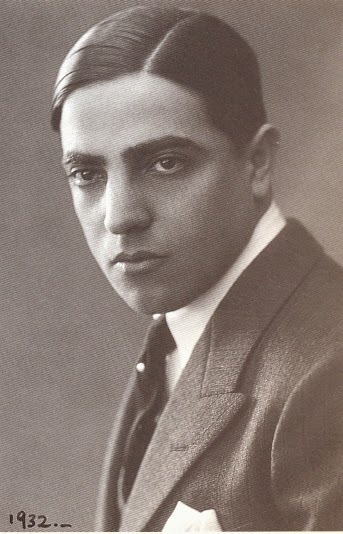 Onassis emigrated to Argentina in 1923 when he was 23 years old. Upon his entrance in the US, at Ellis Island in 1940, he declared that he was born in Salonica in 1906; place and date of birth are both wrong, invented by Onassis. 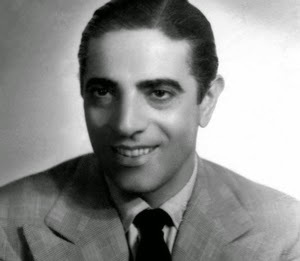 It was only 28 years later that the FBI found the real date and place of birth stated in his children‟s passport: Onassis was born in Smyrna on 20 January 1900.8 He was the son of a middle-class tobacco merchant and graduated from the Evangelical School, the best Greek school of cosmopolitan Smyrna9; he was certainly fluent in Greek, Turkish, French and most probably must have learned some English. The Asia Minor Catastrophe in 1922 brought Onassis to Greece, like hundreds of thousands of Greek refugees from Ottoman territories. He stayed in Athens for barely a year before emmigrating to Latin America. 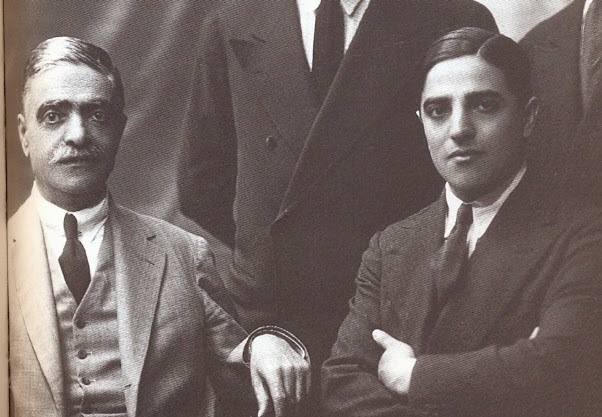 In 1923 he arrived in Argentina and was soon followed by his first cousins Nikolaos and Constantinos Konialidis; the latter was also his brother-in-law as he married Onassis‟ half sister Meropi.10 It was this traditional family business network that was Onassis‟ great asset and the one on which he relied to start his business. In partnership with his cousins they imported oriental tobacco to Argentina and expanded their business to Uruguay. After a short stay in Argentina, Constantinos Konialidis moved to Montevideo in Uruguay, where he was lived permanently, applying himself to the tobacco trade and shipping. Nikolaos Konialidis remained in Argentina and collaborated with A. Onassis in the tobacco trade for most of the interwar period. 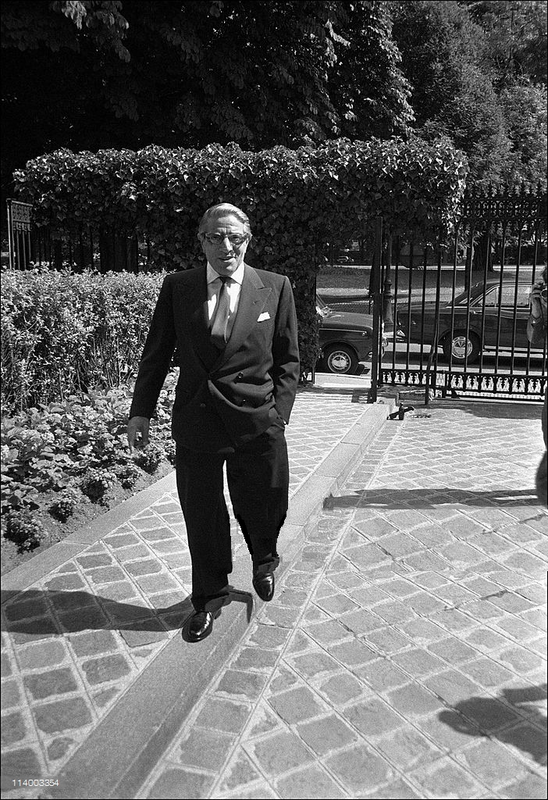 Within a decade Onassis had accumulated sufficient capital to turn to shipping, which remained his prime business activity from 1933 until his death. century as an international cross trader almost exclusively involved in tramp shipping.11 It carried bulk cargoes, particularly grain from the Black Sea and coal from north western Europe. By the eve of the First World War, Piraeus-London, the main axis, , around which Greek shipping evolved during the 20th century was already formed. The fleet‟s activities were still centred within European waters, carrying grain from the Black Sea and coal from the Great Britain as a return cargo. However, a substantial number of Greek ships had also started to plough regularly the Atlantic and Indian oceans. Following the traditional practices of eminent diaspora Greeks of taking some diplomatic office of their country or other countries in order to acquire privileges in their host country and/or state support, Onassis sought to connect himself with the Greek state, since as a Smyrna Greek refugee had also Greek citizenship. He returned to Greece in 1928 when he wrote a detailed memorandum on the importance of Greek shipping in Buenos Aires addressed to the Prime Minister Eleftherios Venizelos who directed leave him to the Foreign Affairs Minister Andreas Michalakopoulos. Michalakopoulos, with whom Onassis met, appointed him Envoy Extraordinary in the Greek Consulate of Buenos Aires. In Buenos Aires, Onassis had the opportunity of observing the practices not only of Greek shipowners but also those of their Norwegian counterparts who, together with the British, were the most important owners visiting Buenos Aires. The Norwegian shipowners were also involved in the new and upcoming trade in crude oil, and the ships that transported it, tankers. Onassis perceived the potential and prospects for the development of crude oil as a basic global energy source globally. In 1934 travelling from Buenos Aires to Europe he met Ingeborg Dedichen, the daughter of the Norwegian shipowner Ingeval Martin Byde. Their affair that lasted for almost a decade brought him into contact with the Scandinavian shipping circles.17 Between 1938 and 1942 he built in the shipyards of Götaverken, Göthenburg, Sweden, between 1938-1942 three tankers. Ariston was launched in 1938, Aristophanes was built in 1940 and Buenos Aires in 1942; all vessels were confined in the Baltic because of the war. Ariston and Aristophanes were able eventually to sail under the Norwegian flag and administration during the war and were returned to Onassis at the end of it.18 Thus the war had changed Onassis's course and directed him to the United States. 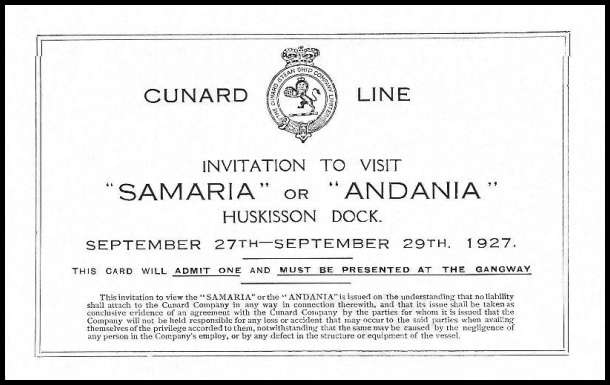 Onassis arrived for the first time in New York in July 1940 on Samaria of Cunard. By 1942 he had settled in the United States. It is interesting to note that after the recommendation by J. Edgar Hoover, founder and Director of the FBI for forty years, Onassis was spied by FBI agents while in the United States.19 He was suspected of "sentiments inimical to the war efforts", and of "possessing fascist ideas", all of which proved totally wrong as the FBI reports admitted before closing his case. In 1942 he listed his addresses as: Legal-Reconquiesta 336, Buenos Aires, in Argentina; in the United States -Ritz Towers Hotel, 57 Park Avenue, New York City. He declared to the US authorities that his business was shipping and indicated that he intended to stay in the United States for five to six months. He stated in his application that he had previously visited the United States on July 10, 1940 and on April 17, 1942. The FBI confidential reports are highly interesting as they seem to include a large number of gossip and fallacies by the various informants about this "play boy" that lived between New York, Long Island and San Francisco; there were reports even of what brand alcohol he drank and what type of cigars he was smoking. The FBI stopped its espionage on Onassis in 1944 as it found nothing to prove their suspicions of anti-war or anti-American feelings and nothing illegal in his shipping activities. In the States Onassis operated together with his cousin Nikolaos Conialides the vessels Calliroy and Antiope based in San Francisco and New York. In 1946 he took a major step that meant final penetration into the traditional Greek shipowning circle. In 1946 he married the daughter of the leading Greek traditional shipowner from the island of Chios, Stavros Livanos and thus became brother-in-law to his most powerful life-time competitor, Stavros Niarchos. The Ships Sales Act, by which American ships could be sold to domestic and foreign purchasers, on credit to Allied governments or to individual shipowners on state guarantee, was passed by Congress in March 1946. On 9 April 1946, the Greek government guaranteed the purchase of 100 Liberties on behalf of its shipowners. One hundred Liberty ships were purchased at the extremely low price of £16.5 million, a third of their original price.21 Of this amount only about £4.1 million, or 25 per cent, was paid in cash, with the remaining £12.1 million on mortgage to the U.S. Maritime commission backed by Greek government guarantees. The loan from the U.S. was to be paid off within seventeen years at an interest rate of only 3.5 per cent. This purchased has been described as the "founding stone" of post-World War II shipping. So, since Onassis was not to be helped either by the Greek shipping circle in New York or by the Greek state, he decided to take action alone. He applied through Constantine Konialides for the purchase of 18 vessels directly to the Maritime Commission represented by the Americans Joseph E. Casey and Robert W. Dudley; on 12 September 1947 the Maritime Commission denied his application.25 Two weeks later the United States Petroleum Carrriers Corporation was organized, on 27 September 1947 with stockholders Admiral N.I. Bowen, Robert W. Dudley and Robert L. Berenson. That very day the corporation applied for 10 tankers and on December 30, 1947 the Maritime Commission approved the purchase of four tankers. This was the beginning of a total purchase from the United Maritime Commission until 1949 of 24 vessels, more than half of which were tankers T2 (see Appendix I). In this way between 1946 and 1954 he built his complex shipping business empire consisting of more than 30 American, Panamanian, Uruguayan and French companies owning by 1954-1955, 60 vessels, mostly tankers and cargo vessels, and a whaling fleet of 16 catchers, (see Appendix I). In order to create his fleet from ships from the war surplus American fleet he formed 12 companies (see Appendix II). Seven companies that owned 8 vessels were registered either in Panama, Liberia or Uruguay and flying Panamanian, Liberian or Honduras flags were 1) Oceanic Transport, Panama (2 Liberties), 2) Olympic Steamship, Panama (1 Liberty), 3) Sociedad Armadora Aristomenis, Panama S.A. in 1946 (with 3 Liberties, initially it had purchased 10 Liberties which within the next three years it sold), 4) Extramar, Panama S.A.(1 Liberty) 5) Corrientes Soc. Maritime S.A. Panama in 1951 (1 T2 Tanker) 6) Compania Uruguaya de Commercio y Maritima S.A., Montevideo (2 Liberties) and 7) in 1950, Balleneros Ltd, S.A. Montevideo (16 whale catchers). The American companies with 23 ships that flew the American flag were the 8) United States Petroleum Carriers Inc in 1947 (7 T2 tankers), 9) Pacific Tankers Inc (1948)/Western Tankers Inc. (1951), New York (4 T2 Tankers), 10) Victory Carriers Inc, New York in 1949, (9 Victory ships), 11) Trafalgar S.S. Corp., New York (2 T2s), 12) Olympic Whaling Co.S.A. (1 T2 converted to whaling ship). Apart from the above fleet he launched an extraordinary shipbuilding programme in German shipyards between 1953-1955 where he built the unprecedented number of 18 "super" tankers and in 1953 and in French shipyards in France 3 tankers (See Appendix I). All the newbuildinings were registered in Panamanian and/or Liberian companies and were put under PanHoLib flags. On the top of the above companies another four were formed acting as agencies to charter or operate the above ships, the Central American Steamship Agency, Inc, Sociedad Industrial maritima Financiera Ariona, Panama, SA, the Petroleum Carriers of Panama Incorporated, the Sociedad Maritima Miraflores, and the Transatlantica Financiera Industrial, Panama, SA. 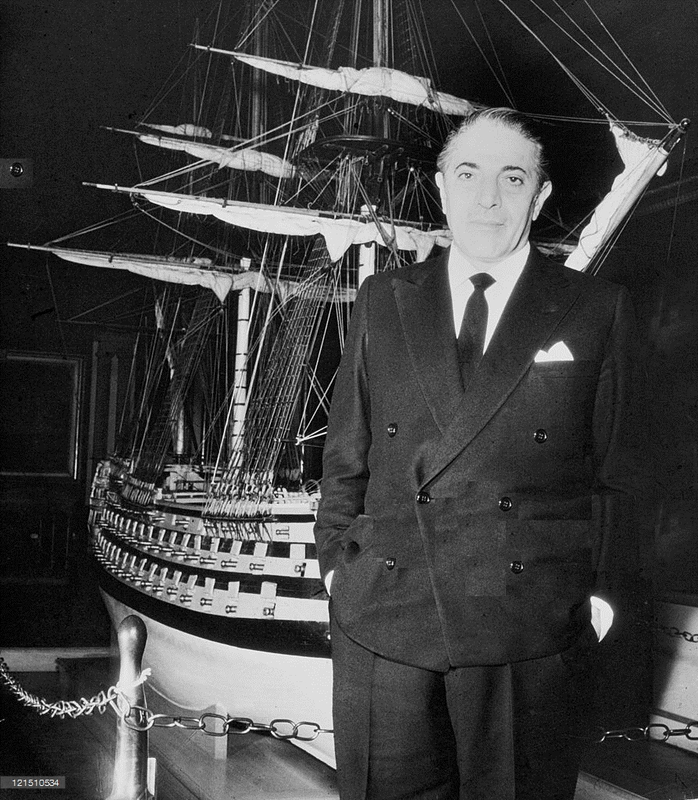 The Onassis group of companies was created according to the way international shipping business operated in which the British led the way and Greek-owned shipping companies followed and developed further.33 For each new ship, or a limited number of ships a new company was created; the ship-owning companies were established in a state that provided institutional and fiscal facilities, such as Panama and Liberia. The management of each shipowning company was assigned to another management company which in its turn used another agency to charter the ships or operate them. In this way, no company was ever found to the "owning" company and the shipowner was always the manager of one of his agencies in a different country and capital. As a rule the ship-owning companies and the management company are linked by the same interests. The management company was considered to be the entity that despite its formal independence from the ship-owning company, was the one to make the decisions concerning the employment of the ships as a productive unit.35 In the web of companies that Onassis created, until the formation of his Olympic Marine in Monte Carlo in 1953, his main management company was Central American Steamship Agency, Inc in New York , which acted as the operating agent of his American companies. 17 out of the 23 American vessels were chartered to other Onassis‟ companies like the Transatlantica Financiera Industrial, Panama, SA, Central American American Steamship Agency, Inc, Petroleum Carriers of Panama Incorporated etc. or to the the British large shipbrokers Lambert Brothers based in London or the Simpson, Spence and Young based in London and New York.36 The two latter British shipbroking offices operated all of Onassis‟ other shipowning companies that owned the dry cargo vessels like Oceanic Transport, Panama , Olympic Steamship, Panama, Sociedad Armadora Aristomenis, Panama S.A., Extramar, Panama S.A., Corrientes Soc. Maritime S.A. Panama, Compania Uruguaya de Commercio y Maritima S.A., Montevideo. FBI, "Aristotle Onassis", part 2, Bufile 46-17783, „Fraud against the government‟. New York office 46-2507 report, May 10 1952, p. 80. For all the operating arrangements there were no written agreements. 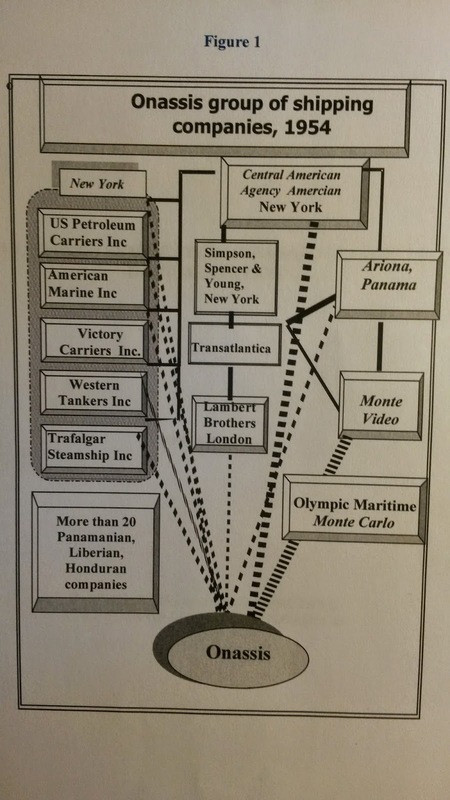 Extremely revealing for the way the shipping industry works, on the golden rule "my word is my bond" is in the FBI archives the long interview taken by one of the partners of Spencer, Simpson and Young, New York, Charles Augenthhaler. 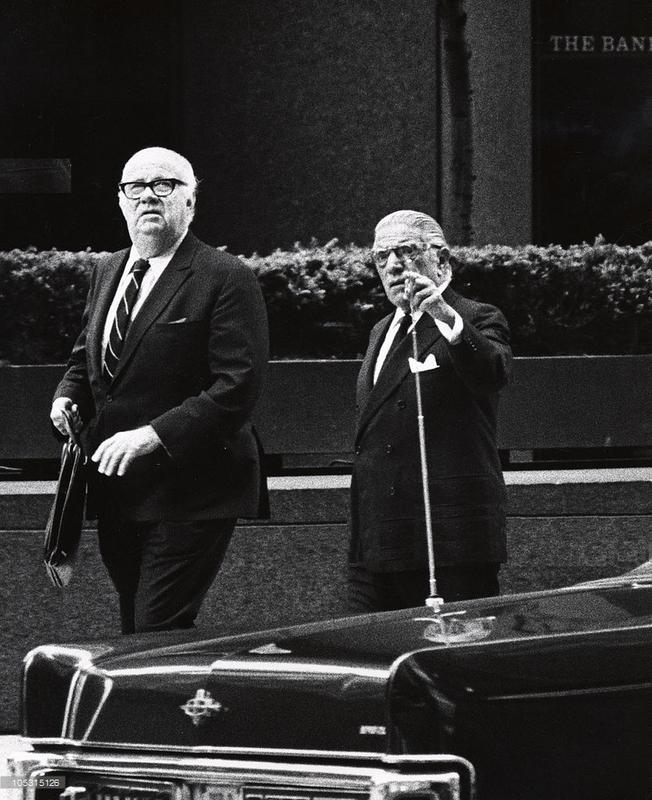 Augenthaler was the chartering and financial agent for Onassis but his firm had no written agreement with him. 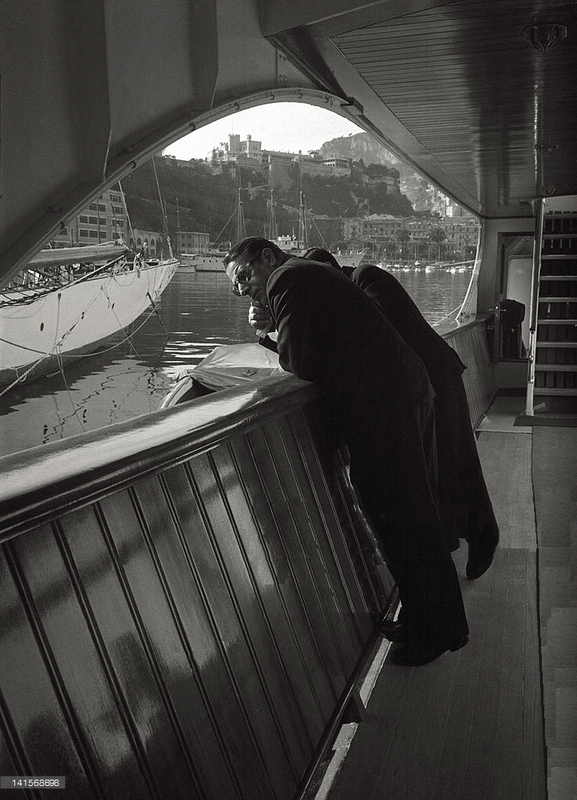 The relationship between Simpson, Spence and Young began in 1939 or even earlier and that in the period of 1939-1940 the agency provided space in their offices for Onassis as it did for collaborating shipowners. He reported that the source of income of his company came from commissions in connection with chartering of vessels. He said he collaborated with the 7 companies of U.S.P.C. and with 10 foreign companies of what he described as the Onassis-Konialidis group. How is game theory used for the Onassis case? One can only imagine the incredible puzzle the US government and FBI officials had to face, and how they were dazzled by this complex international business invention, and how hard it was to untangle this web and find out who was "in control". They had to prove the impossible: who was in charge of the American companies which were owned but did not appear to be owned by Onassis. The case of the US government against Aristotle Onassis will be analysed with the methodology of game theory that provides theoretical background to analyse strategic decision making. This paper is not about game theory, but rather the use of its methodology for analytical purposes.This is following Naomi Lamoreaux's suggestion that the analytical tools of game theory can prove helpful in business history as "defining a game involves specifying the number of players, the order of play, the choices each player can make at each stage of the game, how each choice affects the other players‟ choices and payoffs, the information that each has, whether the players can cooperate or not and the number of periods the game will continue"38. In this way game theory gives us "a bag of analytical tools" that are designed to help us analyse how decision makers interact39.Taking to trial Greek shipowners that were millionaires based in New York was a political and economic decision on the part of the United States. The case was not drawn only against Onassis. The American government sued another two Greek shipowners. What was at stake here was a group of Greek shipowners that had become extremely wealthy 1) by buying illegaly war built American ships undercover by American companies , 2) By operating these ships under the American flag 3) by acquiring and/or building ships financed by American banks 4) by carrying oil for the American oil companies offending the interests of American shipowners, by 5) by allying to high-placed American Democrats to proceed in the previous actions 4) offending American foreign policy by carrying cargoes for whoever paid them to, like the « red » trade of China and North Korea, disregarding foreign policy of the United States at the peak of Cold War. But, as we shall see later, the Greeks apart from being international players also served US interests. Using Nash‟s formal negotiation model let us first define the ?game?. The two main players are Player I the US government and player II Aristotle Onassis. Usually in the theory the game is about the strategies that are going to develop to solve economic situations ?involving two individuals whose interests are neither completely opposed nor completely coincident?40. Then, there are four stages in the formal negotiation model concerning the way the two players act. In Stage One, each player chooses a mixed strategy which he will be forced to use if the two cannot come to an agreement, that is, if their demands are incompatible. The strategy of each one is the other player‟s threat; each one anticipates the threat of the other. In Stage Two the players inform each other of their threats. Both players have full information of what happened in the first stage. In Stage Three the players act independently and without communication. Each player decides upon his demand, which is a point on his utility (payoff) scale. The idea is that players will not cooperate unless the mode of cooperation has at least some utility to him. At this stage players have asymmetric information and they have to determine what will happen, if they do not co-operate and what will happen when they do. If the demands can be compatible, or increase their demands in order not to lose compatibility then each player gets what he demanded . In Stage Four the pay-offs are now determined. If they do not reach a settlement, the payoff to players is that the threats must be executed. According to Nash the above game is really a two-move game. Stages two and four do not involve any decision from the players. It is in stage 3 that decision is taken. Each player chooses a mixed strategy which he will be formed to use if the two cannot come to an agreement, that is, if their demands are incompatible. This strategy is player I’s threat. At a time of a needed sealift, the PanHoLib would be immediate allies to the United States and the American navy could enforce requisitioning of this fleet. It is true that the U.S maritime policy has been torn between its political needs of seapower that could be shown through American flag ships in the oceans of the world and its economic need to keep a profitable fleet or to use low-cost sea-transport. It was able to do the first through a highly protectionist and costly "official" maritime policy that pleased American Congressmen and state officials and the Navy but had obvious effects on a reasonable development of U.S. flag merchant fleet. Secondly, it pursued a "shadow" maritime policy that supported the use of flags of convenience fleet by American and foreign shipowners. Greeks, members of a small European maritime traditional nation in the immediate post-World War years served well the booming American external trade by providing abundant and reliable low-cost maritime transport operations. Onassis‟ strategy conformed with that of the leading Greek shipowners, who, in order to avoid their confinement in Europe, at the outbreak of the World War Two left for New York. There they were able to better administer their vessels, and enjoy the advantages of being resident in a country that became the main post-war economic power. Their involvement in the oil trade through connections with the major oil companies, establishing connections with the American financial institutions, the purchase of ships from the war-surplus American fleet for the replacement of their pre-World War II fleet and the adoption of flags of convenience, set the stage for their expansion and eventual apogee after 1945. For their part, Greek tramp owners served the US well: the Americans needed a low-cost tramp fleet that they could control, something they achieved with the Greeks through credit and the flags of convenience.46 The fact, however, that Greece was the only traditional maritime European nation to take such extensive advantage of flags of convenience during the postwar period may be attributed not only to the choices made by US policymakers but also to the internal structures of the country. Great Britain and Norway did not rely to a similar extent on flags of convenience; the reasons may lie first with the powerful labour unions in their countries that prohibited the use of such flags and second with financial incentives by their governments. The economic and political structures of Greece meant that successive governments were able to weaken the Greek seamen unions' power after 1951, but unable to provide financial support to the ever-growing merchant fleet. 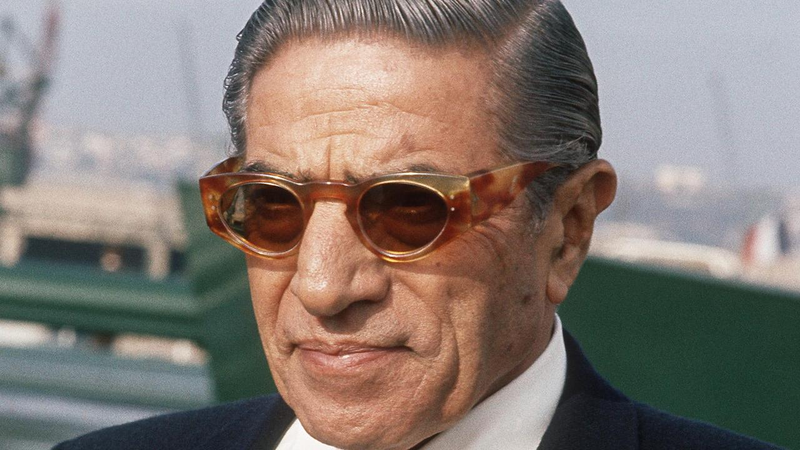 So leading Greek shipowners turned to the US, and despite the internal conflicts of the Greek shipowning milieu, Aristotle Onassis had managed to become not only one of them but one of their leaders. Their main strategy was to pursue profit in the international arena beyond frontiers regardless of their host, or their own country‟s foreign policy; Onassis like his other Greek colleagues was a cosmopolitan businessman following global routes and global trade. Part of the success of the Greek shipowners in the immediate postwar years was based on their decision to make US, the world's leading economic power (but a weak maritime power) their main trading partners, as they had done on a smaller scale with Great Britain in an earlier period. This was the advantage of the cross-traders and of tramp owners: by serving international trade rather than the needs of a particular nation, they were able to adjust to changes in the international environment. Their interests in the 1940s coincided with those of the US, but not for long. What was worse was that attention was brought to the fact that they had illegally purchased American ships from the United States Maritime Commission by defrauding the US government. To that end investigations and hearings started to take place on Livanos, Kulukundis, Niarchos and Onassis. But the case against the latter the most attention and publicity. The US government proceeded to inform Onassis of its threats. The Investigation on the surplus war vessels commenced in April 1951, when the staff of the Subcommitee of the Senate Committee on Government Operations, representatives of the Maritime Administration, and the General Accounting Office began an inquiry into the circumstances relating to the sale, chartering and resale of Government-owned surplus tanker vessels.49 A team of investigators thumbed through Onassis‟ books in the offices of the United States Petroleum Carriers, Inc. based on the 9th floor of 655 Madisson str., New York, to prove that the companies that were supposed to be American were actually controlled by him. They went through all the company books, they investigated and interviewed all that handled the purchases of the vessels, the stockholders and the Board of Directors of six of his American companies, the agencies with which they worked, the suppliers, the captains of the ships, the bankers, the shipbrokers. In June 1951 a series of reports from the Department of Commerce were forwarded to the Department of Justice dealing with the activities of numerous companies which had purchased and chartered surplus tankers for consideration of the possible violation of various provisions of the shipping laws requiring United States citizenship and other statutes relating to false statements. 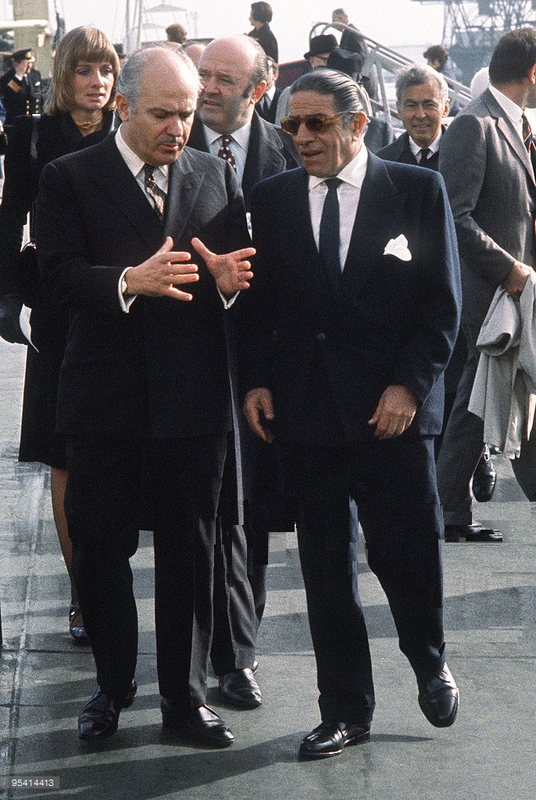 In this stage Aristotle Onassis, as his actions indicate, in order to confront the US government and defend his interests decided to proceed to a „global chess‟ and carefully positioned his pawns by proceeding three strategic moves he made during the time of the investigations of his business in the United States. The first two consisted of moving the centre of his business to Europe. Firstly, he turned his back to the American shipyards where he had already built seven tankers between 1948 and 1950 providing work for the Bethlehem Sparrows Point Shipyard in Sparows Point, between 1948-1950, a much advertised activity as we have already indicated above. The importance American policy makers gave in keeping the American shipyards going is indicated in the final settlement analysed later on. In April 1951 when American investigators were going through his company‟s books, Onassis went to Germany amd launched an unprecedented shipbuilding programme in the war devastated German shipyards of Kiel, Hamburg and Bremen. Kieler Howaldtwerke a.G., the Howarldtswerke Hamburg A.G., and the A.G. Weser, Bremen were literally revived from ashes and produced the incredible number of 18 large "supertankers" from 18,000 to 47,000 dwt, the largest vessels in the world that were ready from 1953 to 1955(see Appendix I). In addition to those he also ordered another 3 tankers of 30-35,000 dwt in French shipyards in the Ateliers & Chantiers de France in Dunkirk, in Chantiers et Ateliers de St. Nazaire in St. Nazaire and in and the Chantiers Navals de La Ciotat in La Ciotat. Monte Carlo for the next ten years became the centre of his business affairs. In addition, it gave him glamour, great publicity and a relation not only with a Western European state but also with the European financial and political elite. The third strategic move was strategically aimed at the heart of US global oil business interests in the Middle East. Onassis knew that in October 1953 an indictment was formed against him in the United States and the Americans were waiting for him to return to officially present it to him. 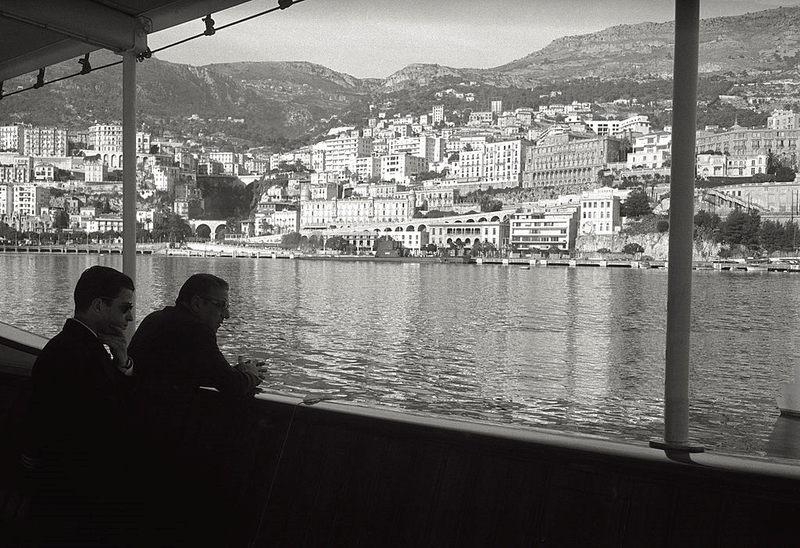 It was during this time that in Paris and Monte Carlo with Spyros Catopodis, an Ithacan and school mate of his close collaborator Costas Gratsos, he prepared the ground for the agreement which he signed with the Minister of Finance of Saudi Arabia and full consent of King Saud on 20 January 1954. The agreement was to form a Saudi Arabian company in which Onassis would transfer tankers of 500,000 dwt; the ships would sail under the Saudi Arabian flag and would have the full priority advantage for the loading and transport of Saudi Arabian oil. In return, Onassis would pay some extra per ton money, above the freights the American companies would pay and he was to form a Saudi Arabian Maritime Academy to train shipping officers and Engineers. After Onassis carried out the above three strategic moves he decided to return to the United States and voluntarily submit himself to the US Justice in February 1954. At the same time Stavros Niarchos, still under indictment himself, collaborated with the US government against the Saudi-Onassis agreement as it was alos against his own interests. His New York office found for him Robert Maheu, a former FBI agent who had the assignment of "mobilizing opposition to Onassis‟s deal". 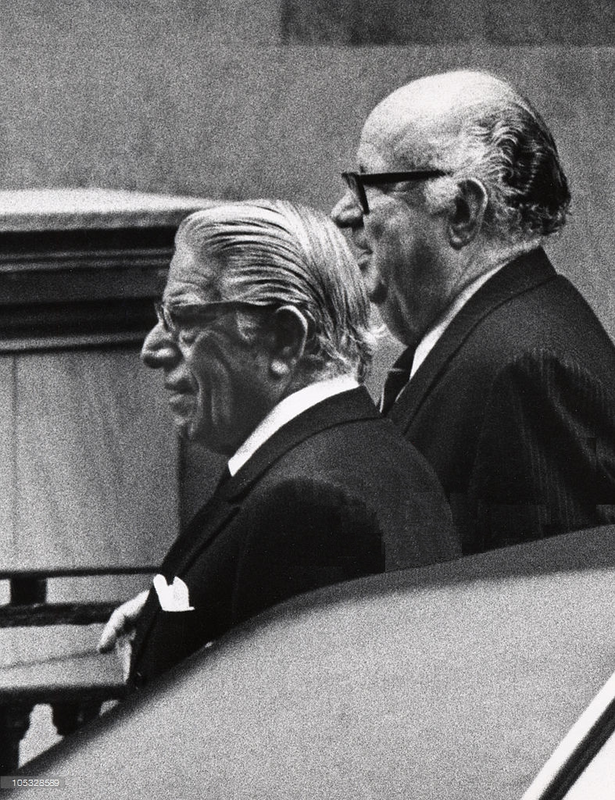 Maheu worked, on Niarchos money, with some other FBI agents to produce an analysis on the Onassis-Saudi Arabia contract.67 In the meantime it seems that Niarchos and Maheu got hold of Spyridon Catopodis. Apparently there was a falling out between Catopodis and Onassis when Catopodis accused Onassis of breach of their agreement. He prepared a lengthy affidavit in the presence of the British Consul in Nice with a large amount of evidence against Onassis, which among other included the bribes to various Saudi ministers and palace officials and other details of his agreement that exposed the Saudi Arabian government. The affidavit was taken by Maheu to Saudi Arabia where he met the King‟s adviser and its content was revealed to the Saudis. Catopodis‟ affidavit, did not contain its the most significant document, that of his written agreement with Onassis. Catopodis submitted his case to Paris, where the French Judge dismissed the case on the failure of Catopodis to present the agreement. He submitted his case also to the United States in Washington and New York. But as Onassis‟ lawyers argued, this was an agreement that happened in France by two Greeks; it should have been dismissed immediately in New York and should not be taken to Court. There it dragged on until December 1955, just before the final settlement with Onassis. In the hearings Niarchos was called and questioned and it was revealed officially that he had employed Maheu in connection with the Saudi deal and that Maheu had shown him the Catopodis affidavit. Niarchos refused any other connection with Catopodis and four days later Catopodis dropped the case. The third action against Onassis businesses was on his whaling fleet. In November 1954 the Onassis whaling fleet was fishing off Peru. The fleet was attacked by Peruvian naval and air forces and was forced to be led to Paita, a small north of Lima where it was seized. The Peruvian government blamed Onassis that he had fished illegally 2,500 whales in their territorial waters. The issue of Peruvian "territorial waters" was rather shaky and not accepted either by the US or the European countries. It was based on a decree in 1952 signed in Santiago by Chile, Peru and Ecuador to create "a distance of 200 nautical miles from the relevant country‟s coast… within which area they can exercise military administration and fiscal jurisdiction. The legality of the 200 miles was strongly opposed by the major whale fishing nations Britain and Norway and the United States under whose „zone" of influence was Peru. 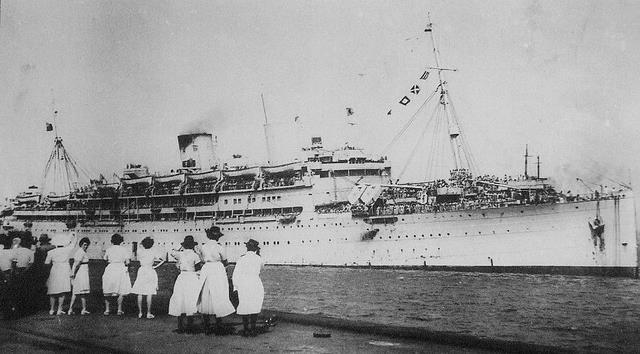 But the United States stood "oddly lethargic" when the Peruvians attacked and demanded a fine of $2.8 million or 57 million soles.70 Onassis, however, had looked ahead and had included a clause in insuring the fleet and its cargo to the Lloyd‟s of London that provided for retention by foreign powers and losses. The fine was paid by Lloyd‟s of London. Onassis formed his whaling fleet back in 1949 where he invested $5 million dollars in converting a T2 tanker in a floating factory for the processing of caught whales, the Olympic Challenger, and a fleet of twelve corvettes into whale catchers. The entire fleet was under Panamanian and Uruguayan flags companies and flags (see Appendix I). He did so first by "inheriting" the interwar German know-how on whaling and proceeded to organize and operate his newly-acquired whaling fleet with the collaboration of the German crews (500 experienced seamen) through the leadership of a top Norwegian whale hunter who lived in Argentina, Lars Andersen.71 His crew was further equipped with the highly experienced Norwegian gunners. From the start his whaling venture had been strongly opposed by the Norwegian interests but the the Onassis fleet was able to fish for five consecutive seasons. Player II: It is clear that Onassis at this stage wanted to get out of this mess and also wanted a settlement. He was sure the US government wanted a agreement-settlement too as it did with Niarchos who in the meantime had all his charge dropped after paying $5 million. What he did during this period was to find ways to slip away from the orchestrated attacks from all fronts and find solutions. Onassis realized that the Saudi Arabian agreement, had caused such a turmoil under the pressure of the oil companies and the US government that it was extremely difficult to impossible to proceed. However, he did not flinch or even stepped back a bit. He even counterattacked by naming his newly built tanker that he received in the Howaldt Hamburg shipyard after King Saudi I and put up a grand launching in Hamburg with an official delegation from Riyadh. Ali MMalik Saud Al-Awal slid its 46,000 tonnage down the slipway in the North Sea Waters despite the embargo against the oil of its own country that it was about to face. The solution to the case was not given either by Onassis or by the Saudis, the American government or Aramco. The Onassis-Saudi Arabia agreement, as I already mentioned was taken to the Court of Hague for arbitration. The Hague gave a decision in favour of Aramco three years later. On his whaling fleet front he had more loopholes and weaknesses that he could count, so there, he decided to give a permanent solution: to step out of the whaling stage. During this period Costas Gratsos carried out negotiations with the Japanese for the sale of the Onassis whaling fleet.73 The problems of at the third front, the tacit agreement from the oil companies to his tanker fleet was the most acute of all, and the one he was not able to solve himself. It was the Goddess of Luck that helped him this time, through the closure of Suez Canal. The pay-offs are now determined. ... If the demands can be simultaneously satisfied, then each player gets what he demanded. Otherwise, the payoff to player I is that the threats must be executed. I received your memorandum dated January 4, 1956, with enclosed copy of the settlement agreement between the Government and A.S. Onassis and affiliated interests. It is indeed gratifying to know that the investigative efforts of representatives of this Bureau were so material to the successful termination of this matter. I deeply appreciate your commendatory remarks regarding Special Agent [name erased] and the Special Agents of our New York Office who participated in this investigation, and I am advising them of your thoughtful comments. You may be sure they share in gratitude for your consideration in writing. What the affair U.S. government vs Onassis and the rest of the leading Greek shipowners taught was that the persisting protectionist maritime policy of the United States was not friendly to international shipping operators. At the peak of shipping activities and their connections with the oil companies, as Greeks and other operators were turning New York to a new world shipping centre, the euphoria collapsed. In order to keep shipping operators a state had to tolerate international mobility and provide tax-free regime. As for Onassis, after solving his main problem with the US government, he solved the problems with the rest of his affairs. He sold his whaling fleet to the Japanese at an excellent price, $8 million; three million above his initial investment. The most important and main problem, that of his laid up tanker fleet, was solved by President Nasser of Egypt who nationalized the Suez Canal in July 1956. This instigated the conflict between Egypt, Israel, France and Britain and closed the Suez Canal. Oil had to be carried around the Cape of Good Hope and the sea routes from 3-4000 miles became 12,000 miles. Demand for tankers rocketed as did the freight rates. Oil companies competed for free tanker tonnage. 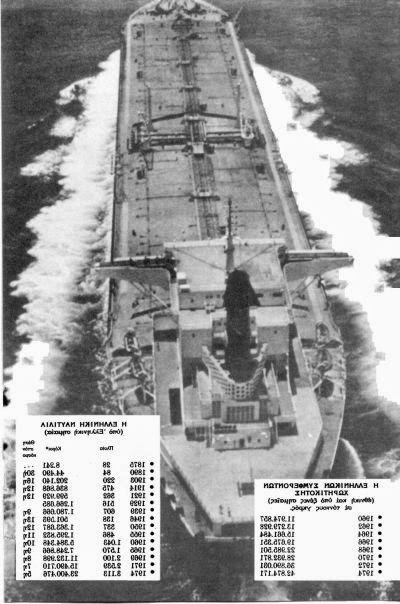 Onassis with so many tankers laid up had the most available tanker tonnage in the world. The Suez crisis made him an extremely rich man. On his own calculations in the six months the Canal was closed he made $60 to 70 million on the spot market. 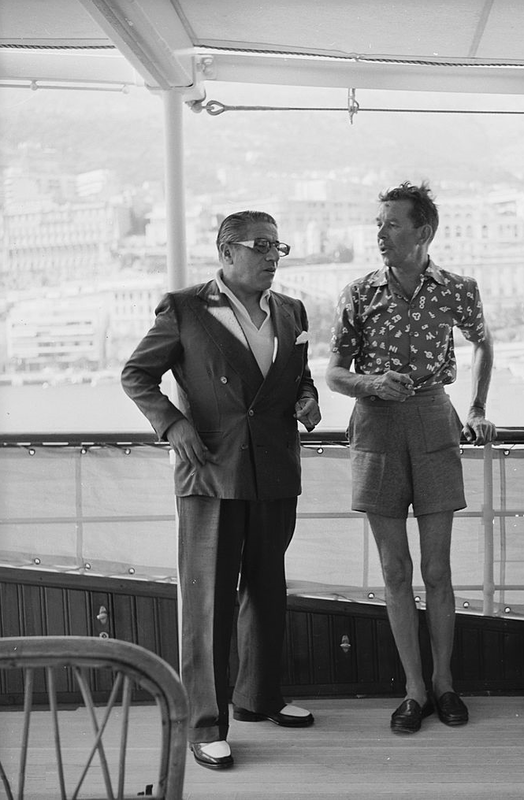 Apart from Monaco Onassis subsequently sought and established close connections with the Greece where he decided to make grand investments. The election of Constantine Karamanlis as Greek Prime Minister stabilized the political climate in Greece and was crucial for the cosmopolitan Greek shipowners that wanted to invest in Greece and acquire political allies in their home country. On the 1st of August 1956 Aristotle Onassis bought the Greek state airlines which he renamed „Olympic Airlines" investing $35 million. Ever since to the present day Greece became the home of the central administration of the Onassis‟ group of companies. 1 New York Times, 20 June 1958. 2 It is highly interesting to see how in 1885, seventy years before the Onassis case, the Russian government under the new conservative Tsar Alexander III, took to trial wealthy Greeks, and particularly Maris Vagliano, a Greek tycoon involved in trade, shipping and finance of the South of Russia for fraud against the Russian government. See Gelina Harlaftis "The "multimillionaire Mr Marakis" Vagliano, the scandal of the Tangarog Customs and the 133 catastrophes of Anton Chekhov", Historica, 2011 (forthcoming, in Greek) and Gelina Harlaftis, «From Diaspora Traders to Shipping Tycoons: The Vagliano Bros.», Business History Review, vol. 81, no.2, Summer 2007, p. 237-268. 3 For an insightful analysis see Cafruny, A. W. (1987): Ruling the Waves. The Political Economy of international shipping, (University of California Press). For a classic on flags of convenience, see Metaxas, B.N. (1985): Flags of Convenience, (London, Gower Press). For the resort of the Greeks to flags of convenience see Harlaftis, G. (1989): "Greek Shipowners and State Intervention in the 1940s: A Formal Justification for the Resort to Flags-of- Convenience? ", International Journal of Maritime History, Vol. Ι, No. 2, pp. 37-63. For a sample see Nicholas Fraser, Philip Jacobson, Mark Ottaway, Lewis Chester, Aristotle Onassis, Ballantine Books, New York, 1977. This is the most reliable account of Onassis‟ activities written by the team of journalists of London Sunday Times. They refer that they have used as sources, apart from the newspapers, documents from the Department of Justice, without any more reference though. Joesten, Joachim, Onassis. A biography, London,New York, Abelard-Schuman, 1963; Willi Frischauer, Onassis, London : Mayflower 1969; Doris Lilly, Those Fabulous Greeks: Onassis, Niarchos and Livanos, Cowles Book Company, New York 1970; Peter Evans (1986), Ari: The Life and Times of Aristotle Onassis, Summit books; Peter Evans, Nemesis. Aristotle Onassis, Jackie O. and the Love Triangle that brought down the Kennedys, Regan Books, 2004; Frank Brady, Onassis. An Extravagant Life, Prentice-Hall, Inc., Englewood Cliffs, New Jersey, 1977; Francois Forestier, Onassis, l’homme qui voulait tout, Editions Michel Lafon, 2006; Nicholas Gage, Greek fire: the story of Maria Callas and Aristotle Onassis, Pan, London, 2001; Christian Cafarakis, The fabulous Onassis: his life and loves, New York, Morrow, 1972; Harvey, Jacques, Mon ami Onassis, Paris : A. Michel, c1975; Ingeborg Dedichen, Onassis mon amour, Éditions Pygmalion, Paris 1975. For a more recent publication see Onassis and his legacy, Alexander S. Onassis Public Benefit Foundation, Athens, 2003 and George Foustanos (2009), Onassis. Pioneer in Shipping, Argo. The latter says that he has made some new research but apart from a couple of new letters and interviews, he re-circulates, without references, the accounts of a previous (unquoted) bibliography. The contribution of the latter volume is a few new photos from the collection of Onassis‟ half sister Meropi Conialidis and photos of Onassis‟ ships with their technical details. 5 Gelina Harlaftis, Greek Shipowners and Greece, 1945-1975. From Separate Development to Mutual Interdependence, Athlone Press, 1993; Gelina Harlaftis, Α Ηistory of Greek-Owned Shipping. The Making of an International Tramp Fleet, 1830 to the present day, Routledge, London, 1996; Gelina Harlaftis, Helen Beneki and Manos Haritatos, Ploto, Greek shipowners from the late 18th century to the eve of WWII, ELIA/Niarchos Foundation, 2003 (in Greek and English); Ioannis Theotokas and Gelina Harlaftis, Leadership in World Shipping: Greek Family Firms in International Business, Palgrave/Macmillan, 2009; Geoffrey Jones and Paul Gomopoulos, "Aristotle Onassis and the Greek Shipping Industry", 9-805-141, rev. 18 October 2008, Harvard Business School. 6 See for example New York Times, 20 June 1958. 7 Doris Lilly, Those Fabulous Greeks: Onassis, Niarchos and Livanos, Cowles Book Company, New York 1970, p. 17. 8 "As you might have noticed recent news stories, concerning the marriage of Aristotle Onassis and Mrs Jacqueline Kennedy have reported his age as 62. I thought you might be interested in knowning that information furnished to the Department of State by Onassis‟ daughter and son Christina and Alexander show he was born in 1900. Files of the Passport Office disclose that Christina Onassis born on 12/11/1950 at New York City was last issued passport Z-762056 at the Embassy in London on 10/27/67. In her application she listed her father as Aristotle Onassis, born at Smyrna, Turkey, on January 20, 1900". FBI Archives "Aristotle Onassis", Bufile, 100-125834, Document 100-125834-19, 4 October, 1968. 9 The fact that he graduated from the Evangelical school is also according to his own narration. It is highly probable however, that a Smyrniot prosperous Greek merchant would send his son to the best Greek school in town. 10 Theotokas and Harlaftis, Leadership. 11 Gelina Harlaftis, Α Ηistory of Greek-Owned Shipping. The Making of an International Tramp Fleet, 1830 to the present day, Routledge, London, 1996. 12 "Reports on the Financial, Commercial and Industrial Situation of Argentina and Greece", Department of Overseas Trade, London HMSO, 1920-1929, in Harlaftis, A History of Greek-Owned Shipping, Appendix 6.6. 14 Foustanos claims that he found the evidence on the price of the ships in the Greek Registers of Shipping; see George M. Foustanos, Onassis. Pioneering in shipping, Argo, 2006, p. 27. 15 For detailed analysis of the thousands of the Ithacan seamen on board Onassis vessels see the recent study by Dimitris Paizis-Danias, Memories of the Sea, Athens 2008. 16 This information without reference in George M. Foustanos, Onassis. Pioneering in shipping, Argo, 2006, p. 27. 17 Ingeborg Dedichen, Onassis mon amour, Éditions Pygmalion, Paris, 1975. 18 Both ships under Norwegian flag were chartered on 24 October 1947 by Socony-Vacuum for a period of five years from Sociedad Maritima Miraflores at rates of $4.10 and $4.20 per deadweight ton per month. FBI, "Aristotle Onassis", part 2, Bufile 46-17783, „Fraud against the government‟. New York office 46-2507 report, May 10 1952, p. 50. 19 Archives of the Federal Bureau of Investigation (FBI), "Aristotle Onassis", BUFILE: 100-125834, Document 100-125834-1, 18 July 27 1942. 20 The United States Maritime Commission in 1936 and from 1938 to the end of World War was under the direction of Rear Admiral Emory S. Land. It first aim was to form a merchant shipbuilding program to design and build merchant cargo ships that would replace the World War I vessels. It eventually launched during World War the most successful shipbuilding programme in the world, building thousands (about 6,000) merchant and Navy vessles. It built merchant vessesl of types of Liberty, Victory, C1, C2, C3 dry cargo merchant vessels and T2 tankers. By the end of the war these were too many merchant ships that could not be operated by Americans. In 1946, the Merchant Ship Sales Act was passed to sell off most of war built ships to commercial buyers, both domestic and foreign. 21 Harlaftis, A History of Greek-owned Shipping, Table 8.2 lists all the Greek shipowners that purchased the Liberty ships. 22 Harlaftis, Greek Shipowners and Greece, chapt. 8. 23 E. Batis, `The chronicle of the miracle (1947-1961)', Naftika Chronika, 1 January 1962, (in Greek). 24 Aristotle Onassis, „Our post war shipping, the state and the shipowners", Report to Manuel Kulukundis, President of the Greek Shipowners in New York, 1947), newspaper National Herald. 25 All evidence from FBI, "Aristotle Onassis", part 2, Bufile 46-17783, from Director FBI to Assistant Attorney General James M. McInerney, "North American Shipping and Trading Company; United Tanker Corporation; United States Petroleum Carriers Inc; American Overseas Tanker Corporation; Simpson, Spence and Young. Fraud against the Government", 9 January 1952 and Allen J. Krouse to Fred E. Strine, Administrative Regulations Section, "U.S. Petroleum Carriers, Inc", 31 October 1951. 26 FBI, "Aristotle Onassis", part 2, Bufile 46-17783, „Fraud against the government‟. New York office 46-2507 report, May 10 1952. 27 Aristotle Onassis, `Our post-war shipping, the state and the shipowners', [Memorandum to the president of the Greek shipowners in New York, M. Kulukundis in 1947], published in Ethnikos Kyrex (National Herald), 8, 10, 11, 12, 15, 17, 18, 19, 22, 24, 25 March 1953 (in Greek). 28 See for example the interview by Berenson who reveals details of how he and Onassis approached the Oil companies and the Banks. 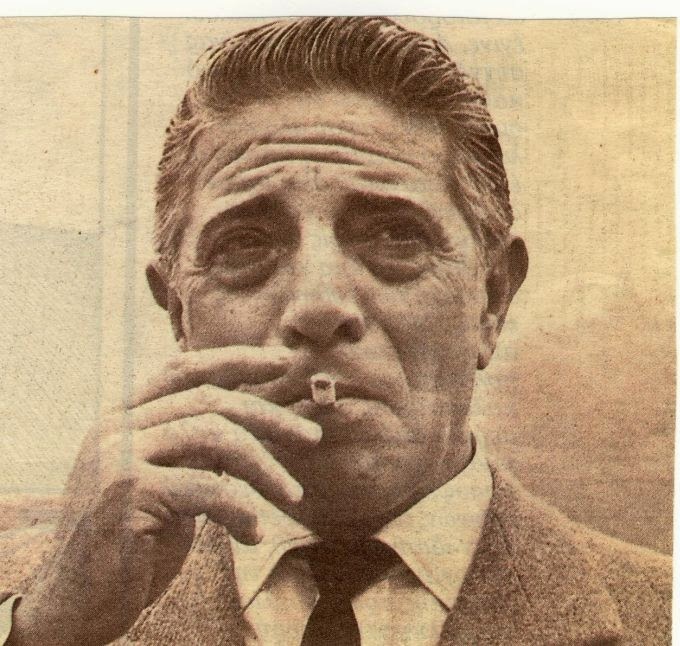 FBI, "Aristotle Onassis", part 2, Bufile 46-17783, „Fraud against the government‟. New York office 46-2507 report, May 10 1952, pp. 174-180. 29 FBI, "Aristotle Onassis", part 2, Bufile 46-17783, Allen J. Krouse, Special Assistant to the Attorney General, to Fred E. Strine, Administrative Regulations Section, "U.S. Petroleum Carriers, Inc", 31 October 1951. 30 FBI, "Aristotle Onassis", part 2, Bufile 46-17783, „Fraud against the government‟. New York office 46-2507 report, May 10 1952. 31 Jerry Shields, The invisible Billionaire. Daniel Ludwig, Houghton Mifflin, 1986. 32 New York Times , Nov 21, 1948 ; Feb 23, 1950; Mar 9, 1950. 34 For the analysis of the organizational model of Greek-owned shipping see Theotokas and Harlaftis, Leadership, Chapter 2. 36 FBI, "Aristotle Onassis", part 2, Bufile 46-17783, „Fraud against the government‟. New York office 46-2507 report, May 10 1952. The above method was followed for tax avoidance purposes. When the American companies chartered their vessels to a Panamanian company that eventually subchartered them to an oil company which sent the charter fees to a third operating agent, this meant that the income from the chartering was not received by the American companies, but by the Panamanian company. It is interesting to see the difference on incomes by the ships chartered directly to Socony-Vacuum Oil company (Mobiloil) and those chartered to Panamanian companies examined by the investigators of Onassis books of United States Petroleum Carriers Inc. as they are revealed in Table 1. The vessels Camas Medows, Fort Bridger, Lake George and Arickaree were chartered by Petroleum Carriers of Panama during four years at $1.00 per dead weight ton and subsequently bare boat chartered to Socony-Vacuum Oil Company at $2.05 per deadweight ton.37 For example, according to the records of USPC, the tanker Arickaree was bareboat chartered in January, 1948, for a period of 12 years to Petroleum Carriers of Panama, Inc., and subsequently bare boat chartered to Socony-Vacuum Oil Company until March 1953. The income from the operation of the four vessels during the four years totaled to $221,211.90. The operation of the three vessels of the same company bareboat time-charted directly to Socony-Vacuum Oil company indicated an eight-fold income of $1,739,096.42. 37 FBI, "Aristotle Onassis", part 2, Bufile 46-17783, „Fraud against the government‟. New York office 46-2507 report, May 10 1952, p. 98. 38 Naomi R. Lamoreaux, Daniel M. G. Raff and Peter Temin, "Economic Theory and Business History", in Jones Geoffrey and Jonathan Zeitlin (eds) (2008), The Oxford Handbook of Business History, Oxford: Oxford University Press, pp. 37-66. 39 Osborne Martin J. and Rubinstein Ariel, A Course in Game Theory, MIT Press, Cambridge Mass. And London England, 1994, p. 1. 40 John F. Nash, ?Two-person cooperative games?, Econometrica, 21, 128-40, 1953. See also Shaun P. Hargreaves Heap and Yanis Varoufakis, Game theory: a critical introduction, Routledge, London and New York, 1995. 41 AleA T., Mahan, The Influence of Sea Power Upon the French Revolution and Empire,1793-1812, Little, Brown, and Company, seventh edition, Boston 1897. 42 See Gelina Harlaftis in the Roundtable for Andrew Gibson and Arthur Donovan, Abandoned Ocean: A History of United States Maritime Policy, University of South Caronia Press, 2000, International Journal of Maritime History, XII, 2, pp. 154-157. 43 See the excellent Alan Cafruny, Ruling the Waves: The Political Economy of International Shipping , University of California Press, 1987. 44 A prime example of an American "invisible billionaire" Daniel Ludwig. See Jerry Shields, The invisible Billionaire. Daniel Ludwig, Houghton Mifflin, 1986. 45 Rodney Carlisle, Sovereignty for Sale. The origins and evolution of the Panamanian and Liberian flags of convenience, Naval Institute Press, Maryland, 1981. 46 A tramp fleet is involved in the carriage of bulk cargoes among third countries. 48 See also Nicholas Fraser, Philip Jacobson, Mark Ottaway, Lewis Chester, Aristotle Onassis, Ballantine Books, New York, 1977, p. 132. 49 FBI, "Aristotle Onassis", part 2, Bufile 46-17783, „Fraud against the government‟. New York office 46-2507 report, May 10 1952. 50 Robert J. Donovan, (1996). Conflict and Crisis: The Presidency of Harry Truman, 1945–1948. Columbia, Missouri: University of Missouri Press. 51 FBI, "Aristotle Onassis", part 2, Bufile 46-17783, „Fraud against the government‟. New York office 46-2507 report, May 10 1952. 52 See FBI, "Aristotle Onassis", part 3, Bufile 46-17783, Office Memorandum from Warren Olney III, Assistant Attorney General, Criminal Division to the Director of FBI, subject "United States v. Onassis et al", 28 December 1955. 54 FBI, "Aristotle Onassis", part 1, Bufile 1100-125834, Department of Justice, Memorandum for Mr J. Edgar Hoover, Director FBI by Warren Burger, Assistant Attorney General, 4 February 1953. United States shipping laws. See FBI, "Aristotle Onassis", part 3, Bufile 46-17783, , Office Memorandum from Warren Olney III, Assistant Attorney General, Criminal Division to the Director of FBI, subject "United States Petroleum Carriers, Inc., et al.". 56 FBI, "Aristotle Onassis", part 3, Bufile 46-17783, Office Memorandum from C.A. Evans to Rosen, "North American Shipping and Trading, Inc, et al., Fraud against the Government", 8 February 1954. 57 FBI, "Aristotle Onassis", part 3, Bufile 46-17783, Office Memorandum from C.A. Evans to Rosen, "North American Shipping and Trading, Inc, et al., Fraud against the Government", 2 February 1954. 58 FBI, "Aristotle Onassis", part 3, Bufile 46-17783, United States District Court for the District of Columbia. Holding a Criminal Term (Grand Jury Impanelled on September 2 1952), "The Grand Jury Charges". On February 8 1954, Onassis flew with his lawyer Edward J. Ross and other legal advisors to Washington. "He voluntarily appeared in the United States District Court for the District of Columbia, at which time he was arraigned and entered a plea of not guilty. He paid 10,000 US dollars and left the courtroom. The Court placed him under a bond with the condition he not leave the country". 59 After a month he was given permission to leave and enter the U.S. as he pleased. 60 Maxwell Hamilton, "The Man who Bought the Bank at Monte Carlo", True, The Man’s magazine, Dec. 1954, pp. 17-20, 83-86. 61 FBI, ?Aristotle Onassis?, part 4, Bufile 46-17783, , Office Memorandum from A. H. Belmont to LV. Boardman, ?Visit to Middle East and North Africa by Bureau‟s Army Liaison Representative?, 16 June 1954. 62 FBI, "Aristotle Onassis", part 2, Bufile 46-17783, Allen J. Krouse to Fred E. Strine, Administrative Regulations Section, "U.S. Petroleum Carriers, Inc", 31 October 1951. 64 Fraser et al., Onassis. 66 FBI, "Aristotle Onassis", part 4, Bufile 46-17783, Office Memorandum from a. H. Belmont to LV. Boardman, "Visit to Middle East and North Africa by Bureau‟s Army Liaison Representative", 16 June 1954. The Court at the Hague finally passed an agreement in 1958 in favour of Aramco. 68 Fraser, Onassis, p. 194. 70 Fraser, Onassis, pp. 157-158. 71 On the Onassis whaling fleet see Basberg Bjorn L., Ringstad Jan Erik, Wexelsen Einar, Whaling & History. Perspectives on the Evolution of the Industry, Kommandor Chr. Christensens Hvalfangstmuseum, Sanderfjord, 1993. 72 Fraser, Onassis, p. 163. 73 see Basberg Bjorn L., Ringstad Jan Erik, Wexelsen Einar, Whaling & History. Perspectives on the Evolution of the Industry, Kommandor Chr. Christensens Hvalfangstmuseum, Sanderfjord, 1993. 74 It was rather odd however, that Brownwell, as a New York attorney, Brownwell had previously given advice to Greek clients about the Ships Sales Act; one of them had been Manuel Kulukundis who had acquired a number of surplus ships in a manner that was currently under investigation by the Justice Department. 75 FBI, "Aristotle Onassis", part 3, Bufile 46-17783, „Fraud against the government‟, "Final Agreement", 21, December 1955. 77 FBI, "Aristotle Onassis", part 3, Bufile 46-17783, „Fraud against the government‟. Office Memorandum, 1 September 1956. 79 Nicholas Fraser, Philip Jacobson, Mark Ottaway, Lewis Chester, Aristotle Onassis, Ballantine Books, New York, 1977, p. 165.